Indeed, Congress has until the end of 2014 to extend these provisions, said Clare Wherley, a certified financial planner and certified public accountant with Lassus Wherley in New Providence. InvestmentNews - 12/18/2013 * Requires free registration for unlimited access to InvestmentNews articles. InvestmentNews - 11/24/2013 * Requires free registration for unlimited access to InvestmentNews articles. InvestmentNews - 10/23/2013 * Requires free registration for unlimited access to InvestmentNews articles. InvestmentNews - 7/21/2013 * Requires free registration for unlimited access to InvestmentNews articles. InvestmentNews - 6/13/2013 * Requires free registration for unlimited access to InvestmentNews articles. 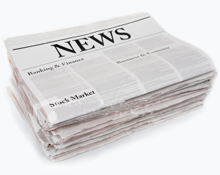 InvestmentNews - 5/31/2013 * Requires free registration for unlimited access to InvestmentNews articles. Congratulations To The 2013 Best Places To Work In New Jersey! Why Pay More For A Variable Annuity Rider? Financial Planning - 4/4/2013 * Requires free registration for unlimited access to Financial Planning articles. InvestmentNews - 3/7/2013 * Requires free registration for unlimited access to InvestmentNews articles.